Muker Silver Band is fully self-funded having being originally founded as a Subscription Band. As the band approached its centenary in 1997, the band undertook to replace all the instruments and uniforms. Our first recordings were a significant factor in enabling the band to achieve this goal. 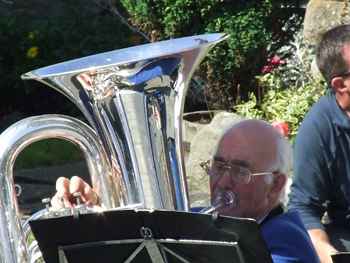 The Friends of Muker Silver Band was also formed during this period, enabling our loyal friends and supporters both near and far to be given unique insight into our band community, with regular newsletters written by band members about many different aspects of their musical lives. Occasional Friends Weekends have taken place over the years, and several Friends Request Concerts have been very successful. Friends receive an annual newsletter in the autumn and a short newsheet in the spring with concert dates and details for the coming year. If you would like to join, please fill in the application form here.